The travelling Italian Film Festival “Moviemov: Italian Cinema Now” makes a home this year with the Film Development Council of the Philippines (FDCP) at the FDCP Cinematheque Centre Manila, following its string of successful editions in 2011, 2012, and 2014. This will be held on November 12-16, 2016. Admission is FREE. 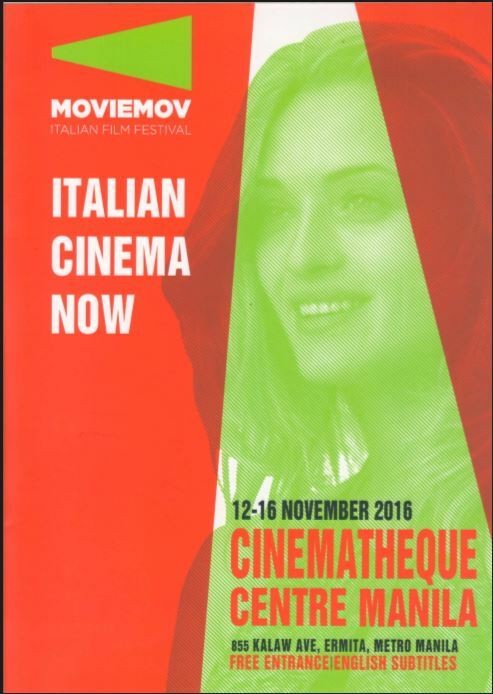 Moviemov is organized by Playtown Roma and supported by the General Direction for Cinema of the Italian Ministry of Heritage and Culture, Italian Trade Agency in Rome and the Italian Chamber of Commerce in Rome, in collaboration with the Embassy of Italy in the Philippines and the FDCP. The festival pays tribute to contemporary Italian cinema by travelling Asia, especially the Philippines, and screening the various works of art created by Italy’s impressive crop of talent. Moviemov makes a first in its run in our country by partnering with the FDCP and showing its films exclusively at the Cinematheque Manila this 2016. The Italian directors, cast, and crew of the films will grace the Red Carpet Opening Night at the Cinematheque, as well as Sen. Goffredo Bettini, Italian senator, film advocate, and founder and artistic director of the Moviemov Italian Film Festival. Some of the filmmakers will also be offering question-and-answer sessions for the film audiences at the screenings, among other events that will thrill local cineastes at the festival. Film buffs, Italophiles, and even curious moviegoers will not want to miss this year’s Moviemov, with the exciting collection of films and activities guaranteed to give us a view into the world of Italy through fresh eyes. 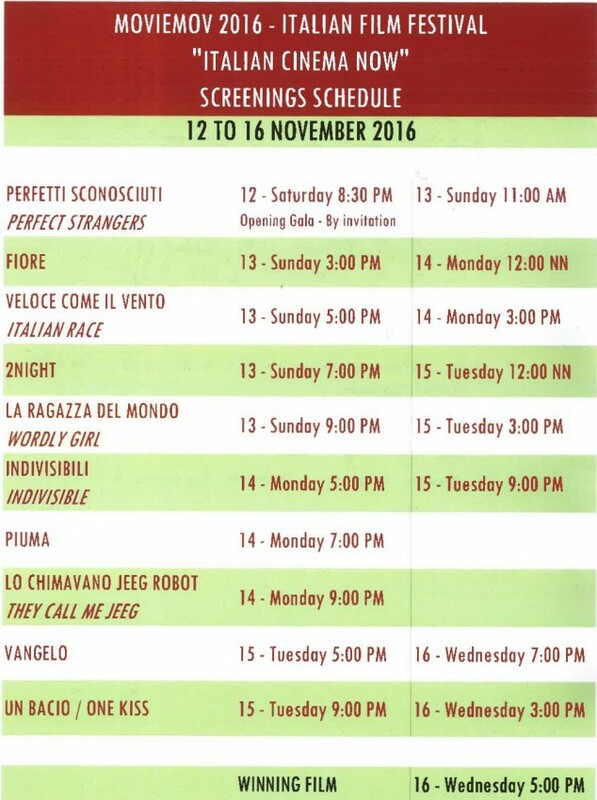 The films of Moviemov: Italian Cinema Now screen for free at the Cinematheque, all with English subtitles. The festival is also supported by San Miguel Corporation, Gourmet Farms, Rustan’s, Philippine Italian Association, Augustea Ship Manning, Elburg Shipmanagement, Rina Academy, Fila, Trevi Foundations, L’Opera, Caruso, Cibo di M, and Ralph’s Wines. Tune in soon to the FDCP website at www.fdcp.ph and through the FDCP Facebook, Twitter, and Instagram pages for more information about the Moviemov: Italian Cinema Now festival.